Everything you need to know about playing PUBG Mobile on Android and iOS devices. This page contains everything you need to know about PUBG Mobile's seasonal updates, as well as how to download and install PUBG Mobile on iOS and Android devices. Mobile versions of PUBG have been available in China for quite a while now, but it didn’t look as though we’d be receiving any versions of it in the West for quite some time. Well, it turns out that PUBG Mobile found its way onto the Canadian Google Play Store all of a sudden before being rolled out to other regions soon after. PUBG Mobile is officially licensed, so it’s not a third party offshoot - it’s the real deal. You’ll still get all the frills that come with the PC and Xbox One battle royale experience, just condensed down into handheld form. Maps, weapons and everything that’s already in PUBG is accessible to players who want to outlast the competition on Android. As PUBG Mobile has come as quite a surprise, there’s very limited information out there on how to get the game onto your device, what mobile platforms it’s actually compatible with and whether or not you can access it in your region. To help you out, we’ve put together a guide that’ll take you through the ins and outs of PUBG Mobile. It’s also a game that’s still largely in development, so we’ll update this page with all the latest information over time. Stay tuned! Editor's UPDATE: We've updated this guide with details on Season 2 and Update 0.5.0. You'll find all of this towards the top of the page! Make sure you visit our core PUBG Guide hub when you're done here. It contains all of the most important tips and tactics you need to win more games. Tencent's released a huge new update for PUBG Mobile and ushered in Season 2 with a host of brand new features. Below we've put together a breakdown of all the new tweaks and content introduced with Update 0.5.0 for Android and iOS devices. Here’s everything you need to know about PUBG Mobile in one place. PUBG Mobile is available worldwide. PUBG Mobile is called PUBG Exhilarating Battlefield in China. It's available on both Android and iOS devices. It stays true to the PUBG experience on both Xbox One and PC. You’ll have access to almost all the maps, modes, weapons etc. Essentially, as an experience it remains largely unchanged for mobile devices. You'll still earn BP for playing matches in PUBG Mobile, but you'll also earn Vitality and EXP points too. Vitality increases as you complete special daily missions and you'll work towards unlocking free Loot Crates that contain cosmetics. EXP is earned in the same manner, but unlocks more permanent items like avatar icons. Here's how to get PUBG Mobile up and running on your Android device. Find the Google Play Store app on your mobile device and open it up. Search for “PUBG Mobile” and click enter. Make sure you’re on a page entitled “PUBG Mobile” and that it’s published by “Tencent Mobile International Limited”. Any other version of the game will be false. Click the “Install” button and your device will automatically create a shortcut icon when complete. Once it’s all done. Simply open it up and away you go. Do bear in mind that you’ll have to create an account to get started with PUBG Mobile. Here's how to get PUBG Mobile installed on your Apple device. Make sure you're signed in with your Apple ID on your mobile device. Head on over to the Apple Store and search for "PUBG Mobile", click enter. Make sure you're on a page entitled "PUBG Mobile" and that it's published by "Tencent Mobile International Limited". It'll say in the description box that it's the officially licensed version. If you're on any other page, it's likely false - be careful! Click the "Install" button and your device will automatically create a shortcut icon when complete. Simply open it up, create a PUBG Mobile account and get playing. That’s all we have for now, but we’ll continue to update this page as more information comes our way. 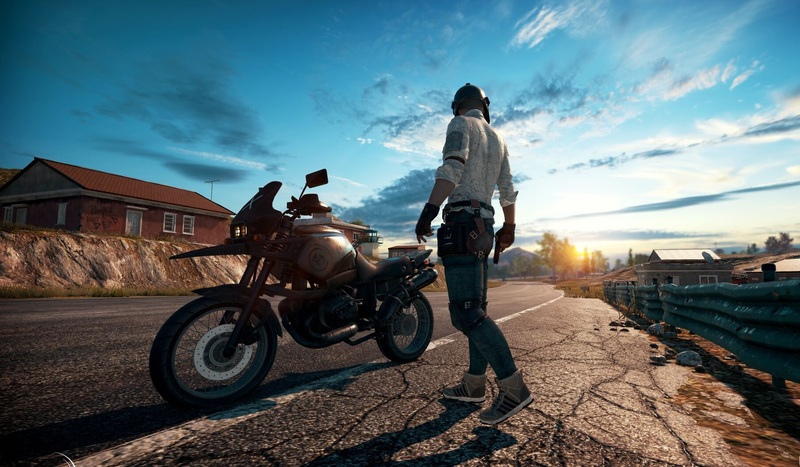 Keep this article bookmarked for all the latest on PUBG Mobile!